Wipes are an essential in any nappy bag. They have a multitude of uses; from being instrumental at a nappy change, to wiping baby's messy face, to cleaning her fingers before she puts those germs in her mouth again! With my baby having eczema, many of the standard wipes irritated her skin, so I was keen to find something that would be safe, but also get the job done. I'd read about Water Wipes when they first came out in the UK and I'm pleased they're now here in Australia. Water Wipes are approved by the Allergy Board of UK and are made up of, you guessed it, water (99.9%) and also grapefruit seed extract (1%). You can purchase these from your local Safeway or Coles stores and selected pharmacies. The muslin cloth, or wrap, is a great edition to a nappy bag. It can be used as a swaddle for naps on the go when baby is tiny and can be used as a burp cloth, or cloth for weigh-ins at the nurses office, once baby is a bit bigger. Bubba Blue's Organic Muslin Wraps are made from organic cotton fibres, free from chemicals and also friendly on sensitive skin. 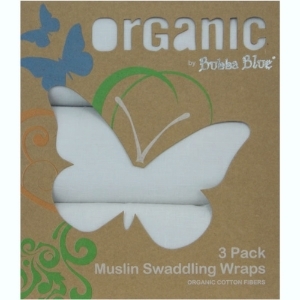 You can pick up a pack of three wraps for around $30 from any leading baby store. Disposable nappies are great for times where you are out and about with your little one. Ecorigionals disposable nappies are biodegradable and are free from chemicals or fragrances. Given that my little one has eczema it is important that we moisturise her skin at every nappy change, even if that is on the go. I have tried multiple creams to help cure her eczema (more on this later! ), and Little Innocents Organic Baby Intensive Moisturising Cream is one of the best. Little Innocents products are Australian Certified Organic, and the majority of the baby range can be used from birth. You can purchase the Little Innocents range from Chemist Warehouse at selected stores nationwide.